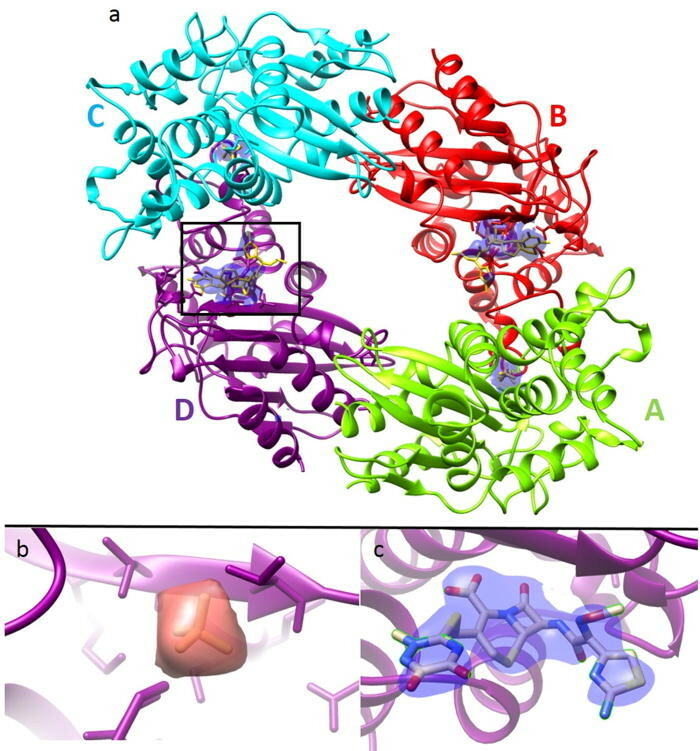 Mix-and-inject serial crystallography (MISC) is a technique designed to image enzyme catalyzed reactions in which small protein crystals are mixed with a substrate just prior to being probed by an X-ray pulse. This approach offers several advantages over flow cell studies. It provides (i) room temperature structures at near atomic resolution, (ii) time resolution ranging from microseconds to seconds, and (iii) convenient reaction initiation. It outruns radiation damage by using femtosecond X-ray pulses allowing damage and chemistry to be separated. For several decades, X-ray crystallography has been the dominant technique to solve the three-dimensional (3D) structure of biological macromolecules at atomic resolution. Structures of proteins, protein complexes and the machinery of entire biological reaction pathways have been elucidated, leading to numerous breakthroughs in our understanding of molecular architecture and function. However, not every protein complex crystallizes, a necessary condition for investigation using these methods. 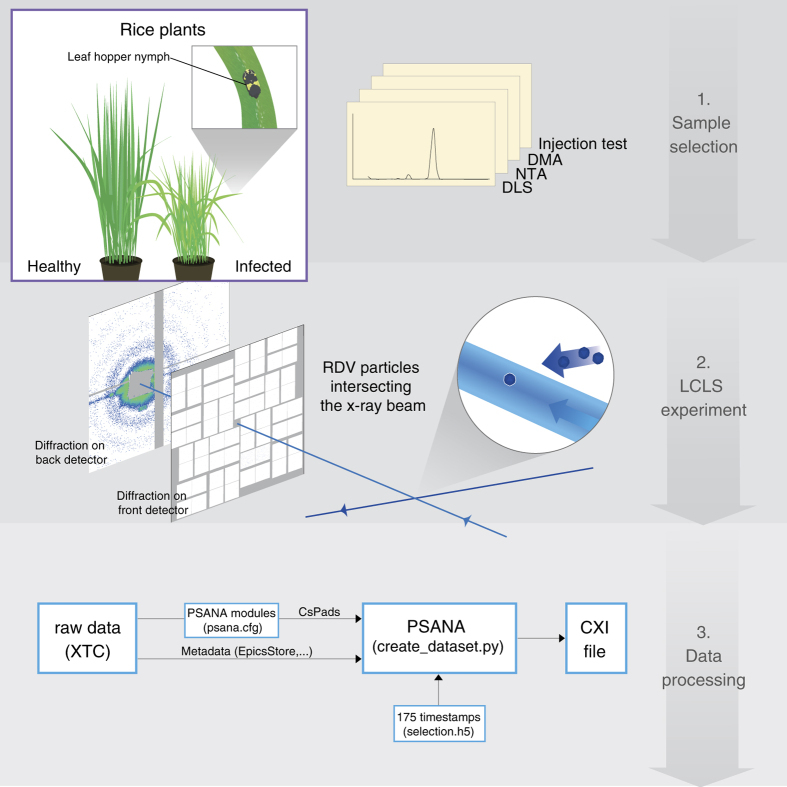 Reliable sample delivery is essential to biological imaging using X-ray Free Electron Lasers (XFELs). Continuous injection using the Gas Dynamic Virtual Nozzle (GDVN) has proven valuable, particularly for time-resolved studies. However, many important aspects of GDVN functionality have yet to be thoroughly understood and/or refined due to fabrication limitations. 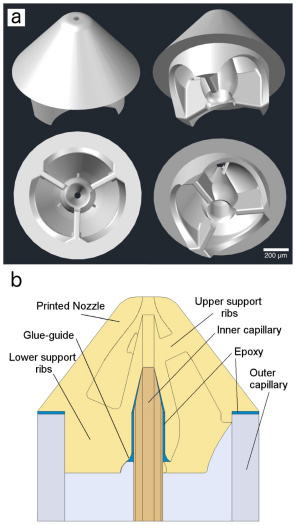 We report the application of 2-photon polymerization as a form of high-resolution 3D printing to fabricate high-fidelity GDVNs with submicron resolution. X-ray Free Electron Lasers (XFELs) have advanced research in structure biology, by exploiting their ultra-short and bright X-ray pulses. 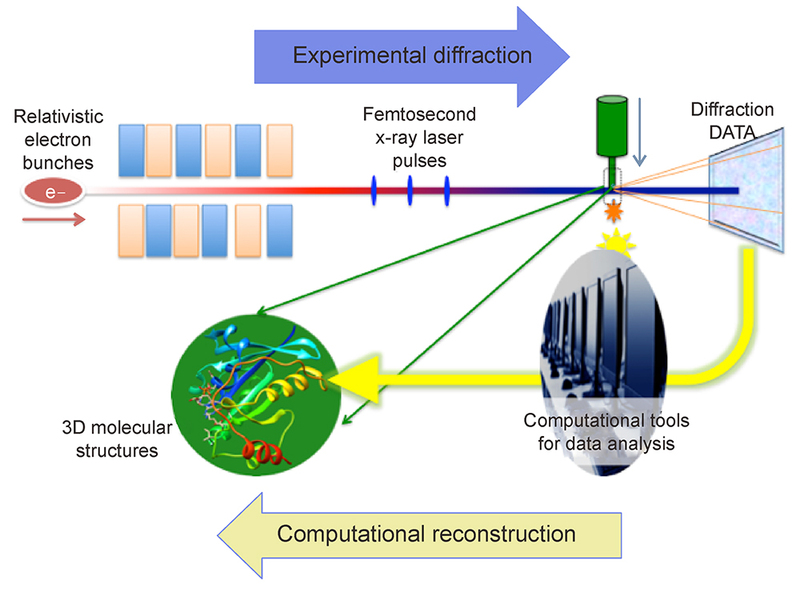 The resulting “diffraction before destruction” experimental approach allows data collection to outrun radiation damage, a crucial factor that has often limited resolution in the structure determination of biological molecules. The room temperature structure of natively formed protein nanocrystals consisting of 9,000 unit cells has been solved to 2 Å resolution using an unattenuated X-ray free-electron laser (XFEL) beam, representing, by far, the smallest protein crystals used for protein structure determination by X-ray crystallography to date. Molecules vibrate and resonate. These vibrations enable life to function, they are believed to play a role in photosynthesis in plants and protein folding in general. 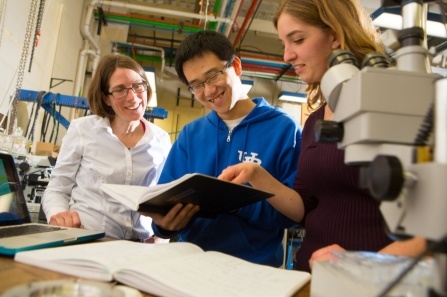 BioXFEL participant and University at Buffalo physicist Andrea Markelz has recently been awarded $1.35 million in grants, from the Department of Energy and National Science Foundation, to research the nature these vibrations in protein, and to develop instrumentation that aids other researchers doing the same.